Two Liverpool Women players were rewarded with an international call-up for England ahead of some pivotal April fixtures. Two Liverpool Women players have received call-ups for England during the international break as a merit of their hard-work this season. Vicky Jepson's side have endured a tough campaign, sitting in midtable having been knocked out of the FA Cup to Women's Super League holders Manchester City. However, recent weeks have brought about some cause for optimism, with clear signs of development from within a youthful squad ahead of next season. 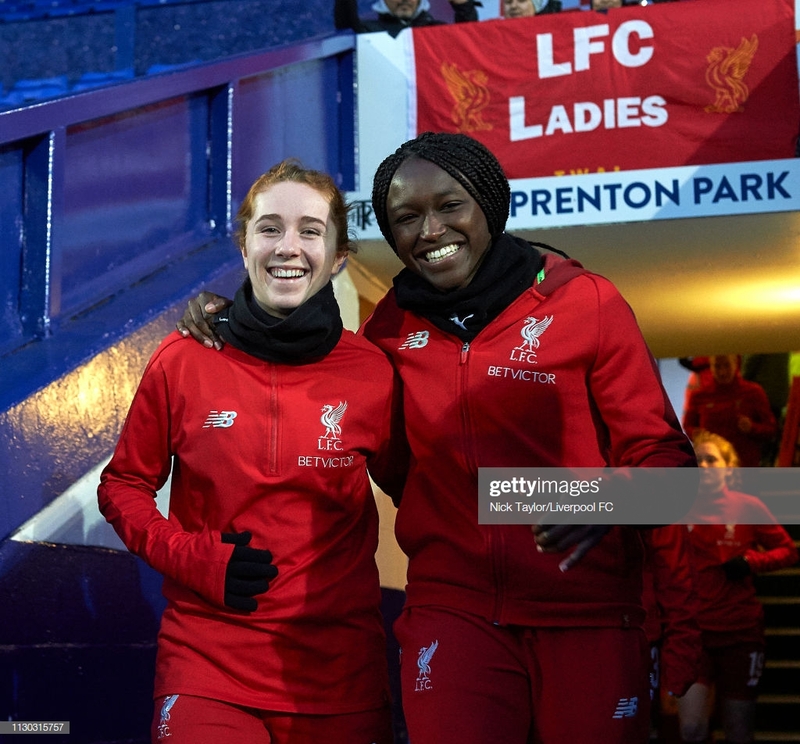 Key to that has been Rinsola Babajide; an athletic runner capable of stretching the play and instigating dangerous counter-attacks, the forward has been the lynchpin to Liverpool's attack. Indeed, she proved to be a menace to Manchester City's defensive in the FA Cup quarter-final, carving out openings for herself and her teammates due to sheer grit, power and pace. The former-Watford player has been called up for Mo Marley's England Under-21 squad to take part in the La Manga Under-23 tournament. England are due to play France on April 5th, Norway on April 7th and Sweden April 9th, providing Babajide with ample opportunity to impress on the international stage. "We are all looking forward to the challenge of playing against some of the strongest U23 teams in Europe, Marley said. "It's a great opportunity for our players to experience multiple games, similar to tournament football, which is perfect for preparing our players for senior football." Meanwhile, Amy Rodgers has been named in England's Under-19s squad for the European Championship qualifiers at St George's Park. The next week will see the midfielder face Turkey on April 3rd, Sweden on April 6th and Italy on April 9th. Speaking ahead of the opening game Rehanne Skinner said: "We face three very different opposition in this competition and will need to be prepared for those challenges. At this stage of the championship, only one team progresses so it provides a great test for us. "Hopefully we can progress to the Euro Finals to keep gaining crucial exposure and experience for our future Lionesses and their development. The whole team is looking forward to the games."